They say behind every successful man there is a woman. No one knows that better than Kidero who currently won’t tolerate wife’s accomplishments in the hands of another. Former Nairobi Governor Evans Kidero has claimed that the anti-corruption commission has failed to release all the documents and properties seized from his house despite the court directing that everything that was taken be returned. He argues that, whereas he was called to collect some of his documents, those relating to his wife, Dr Susan Akello Mboya, are still in the custody of the Ethics and Anti-Corruption Commission (EACC). High Court Judge Hedwig Ong’udi directed on Tuesday last week that any seized properties, which EACC had found to be unrelated to the graft investigations they were conducting, be released to Dr Kidero. Through lawyer Tom Ojienda, the former Nairobi county boss says EACC has not notified his wife on the release of her documents and properties as the court order had also affected her. “The order made on November 6 must be read and interpreted as obliging EACC to release all documents and properties which are not relevant to the matter before the chief magistrate’s court against Dr Kidero,” lawyer Ojienda, in a letter addressed to EACC dated November 13, says. 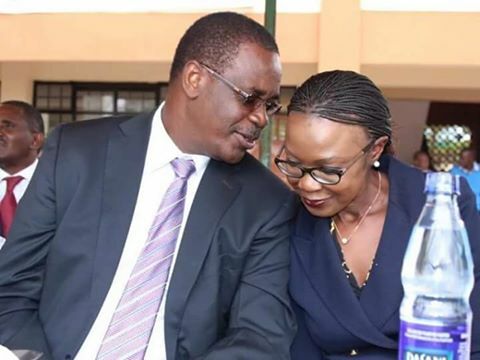 Dr Kidero has requested the EACC to allow his wife and a representative from lawyer Ojienda’s firm to visit EACC offices to collect the documents relating to her. EACC is investigating alleged acts of corruption and economic crimes and other related offences suspected to have been committed by Dr Kidero while at the helm of Nairobi County and Mumias Sugar Company. However, lawyer Ojienda says some of the documents do not relate to the matters under investigations. “The documents released to Dr Kidero on November 9 are, with all due respect, an insignificant portion of what is irrelevant to your investigations,” says lawyer Ojienda. Dr Kidero has also sought confirmation from EACC that there will be no more raids, inspections and valuations on his premises, until the matter before court is concluded. Do you think get back his wife’s papers?